And I self-apply the term “Lady” cautiously because I was given leave to work from home due to my unladylike demeanor in an office environment. 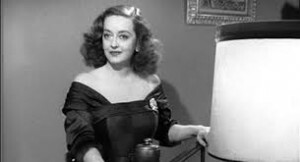 I took Bette Davis as a role model when I was twelve or thirteen years old reading “Mother Goddamn.” She had a great quote (I think it was in Newsweek around that time, early 70s) “There are two kinds of women, ladies and broads. Me? I’m a broad.” I took that to heart, much to my mother’s chagrin. I digress, as I often do. I’d like to suggest a simple daily addition to your routine to help beat back January and maybe help ward off the colds, flus, headaches, etc. that seem to want to be our friends right about now. Ever heard of dry brushing your skin? Very beneficial action. 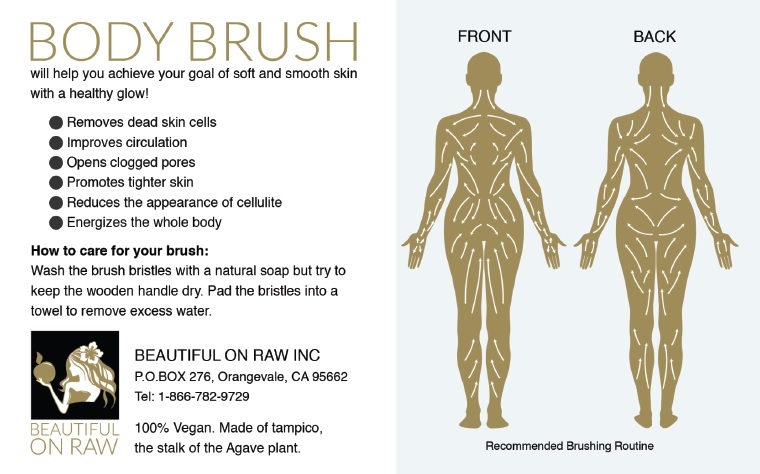 Get a natural bristle brush. Get naked (preferably in private right before a shower. NOT the golden kind preferred by our incoming Presi…I can’t bring myself to say it). Start with the soles of your feet (and mine are ticklish, so this gets tricky) and brush from the toes to the heel a few times, then start with the tops of your feet, same direction, then upwards on your legs, always brushing towards your heart. Brush your belly in a clockwise motion to aid digestion, brush downward from your chin and back of the neck. Lastly, raise your arms (one at a time) and brush downward. Pay special attention to the backs of your knees, your groin, inside your elbows, under your ears, and your armpits. These are lymph node locations and the dry brushing (always towards your heart) helps them work better. Every time I brush under my ears, I feel my sinuses drain. In the shower, if you use one of those scrubby puff things, go through the same routine. Trust me. I’d also suggest starting the day with hot water and lemon. Get your digestion working properly, detox your body, clear your skin. Oh, I’m still fat. But my skin looks great.